Her Most Imperial Sovereign Grace Imperial Grand Duchess to the Sixth Imperial House of Fun Laughter & the Freedom to Be. SassyLasse helped her come out and has been coached by the notorious JennyBlake. She was born in January 2005. She has been out from time to time. 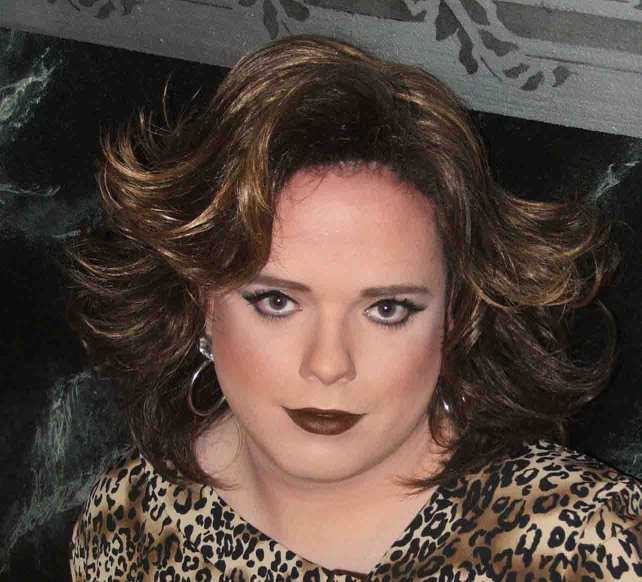 Did drag once in 2004 under a different name. JuicyFruit writes: WOW is all I can really say. Was some amazing stuff last nite on that stage. I stick by my comments 100%. I saw this girl do Alicia Keys at the Grammy Show 2006 @ Reflections. WOW who knew a white girl could have that kinda soul!! Keep it rockin' sista!! She been out more than a lot of the "active queens" Why has she been moved??? Mind you it might be because she has shed a few pounds and looking good?